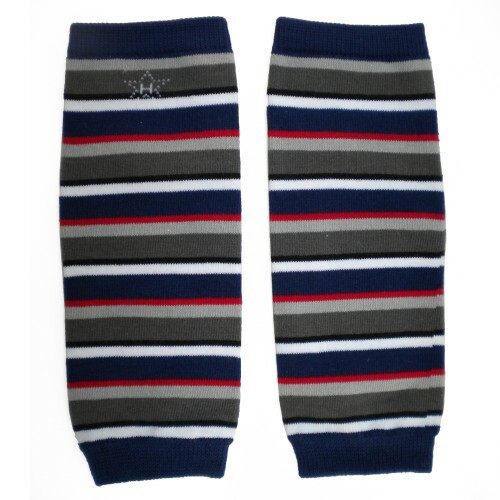 Huggalugs Star beanie for boys is adorable for pictures and beyond. 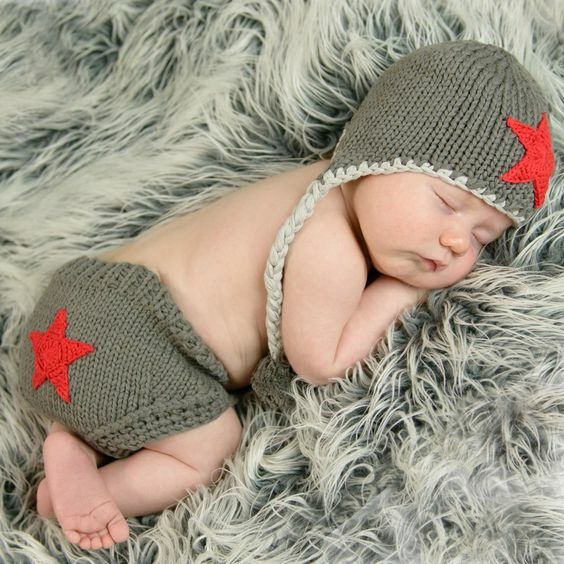 Soft, comfortable, dark grey cotton knit diaper cover has button closure and is adorned with a red crocheted star on the bottom for your little super star! 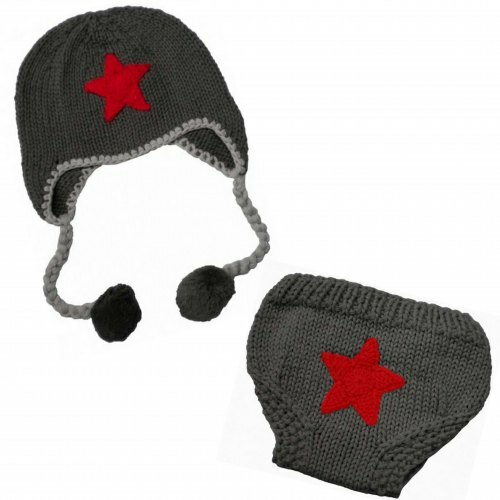 Includes the star beanie for the complete look! 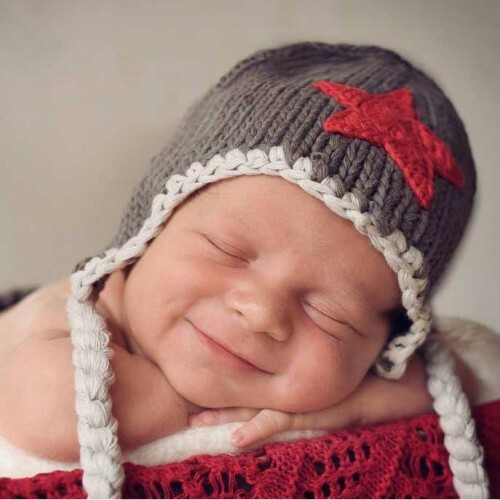 So perfect for your little star!